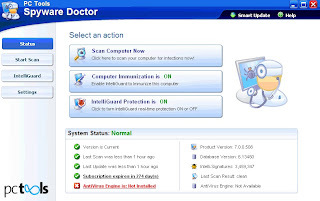 PC Tool’s Spyware doctor is one of the best and most used anti-spyware software. It helps to detect, block and remove Spyware, Adware, Spyware Trojans, Spyware virus, Keyloggers, Identity Theft, Hijackers, Tracking Threats, Rogue Anti-Spyware, Unwanted Software, Tracking cookies, Phishing, Popup and malicious Websites. Frequent updating feature in Spyware doctor which helps you to block and remove new threats. Unlike other anti-spyware software it’s advanced IntelliGuard technology will not prompt or alerts each and every time when the user installs an application, it will only alert if the installing application is a spyware. 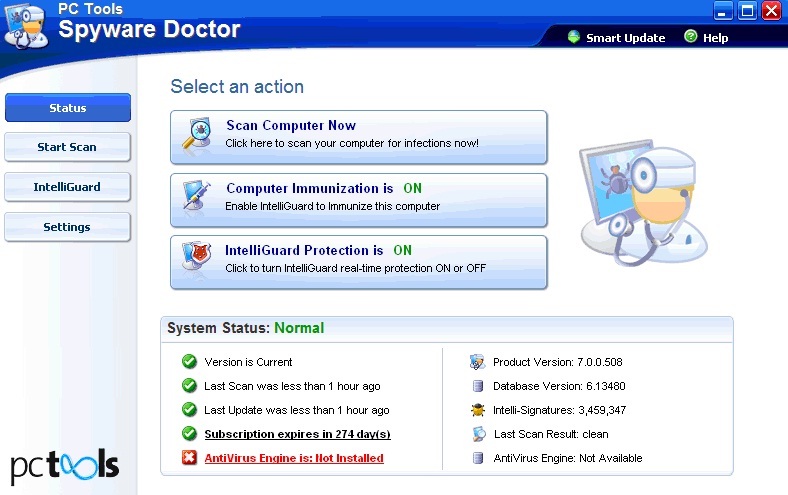 Spyware Doctor does not have an antivirus engine so it will not give protection against threats like viruses, worms, Trojans etc. Optional plug-ins are available for Spyware Doctor including Site Guard, Email Guard and Behavior Guard. The trial offers time unlimited real-time protection against spyware, but does not remove threats detected during on-demand scans, updates may also differ to those supplied to registered users.